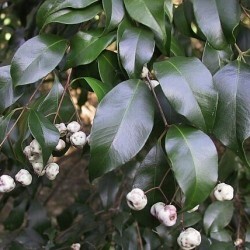 Beautiful large tree that produces highly decorative flowers in early summer followed by mauve- white fruits that are edible. Climate: Will grow in a wide range of climates from tropical to temperate. Temperament: Is moderately drought tolerant once established and will take light frosts.